Our events are created by parents for parents, and run by our amazing team of volunteers! 100% of proceeds going to supporting Humanitas Charity. Unique to Diddy Rascals, our live DJs play a soundtrack of classic house music, pitched perfectly to ensure it’s the parents as well as the children that won’t want to leave the dance floor. Vibrant oversized inflatables, sensory lighting, glow sticks, whistles and neon face paints all add to the magic and give the event an authentic ‘old skool’ vibe. A chill-out zone gives younger kids the chance to hang out in the ball pool, enjoy the lights and soak up the ambience. 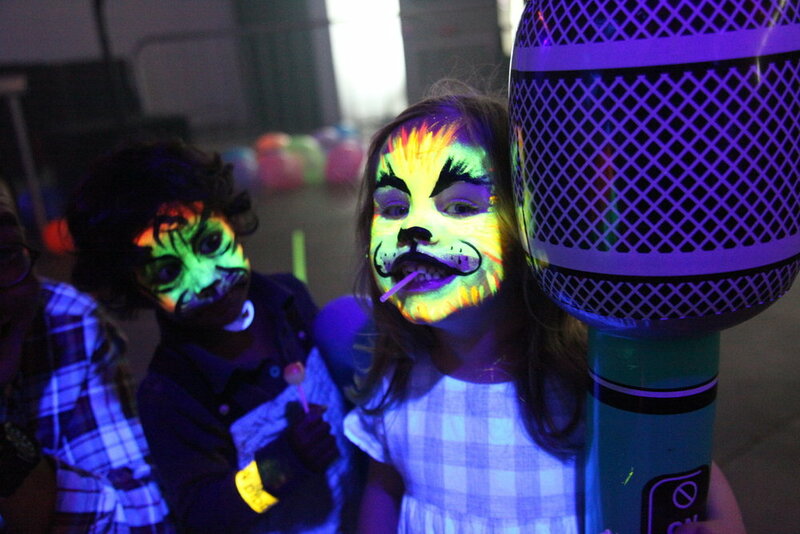 Ideal for 2 to 8 year old mini-ravers, younger or older siblings are welcome. Our popular soft play cinema sessions are a relaxed way to enjoy the latest movies you’ve been longing to see. Perfect for mums, dads, carers and family members to soak up some cinema in a safe environment, which is cleverly laid out to allow mini wanderers the chance to roam and play without the fear of being ‘shushed’. All cinemagoers are encouraged to bring their own picnic and/or snacks and we’ll ensure the hot drinks for the adults keep flowing. Following our sold out event last year, we are back with more live music, family-friendly activities and entertainment. Expect music from the brilliant CC Smugglers, Kelly Oliver, Jason Darling and more. Plus a programme of family raves - entertainment, children cinema, gmaes, arts and crafts, face painting, inflatables, food, bar and much more! To kick-start the event we will be attempting to break the world record for the largest Pilates session. Bring the whole family along and enjoy the Diddy Rascals Family Festival for the remainder of the day, all in aid of local charity, Humanitas. Experience some seriously awesome quality time with the family whilst enjoying some old Jungle anthems guaranteed to take you back to your hay day. Adult early bird tickets available online! Tickets on the door are an additional £2.